There it is, the cover artwork of our upcoming album called “Drowned by Humanity”! Thanks to Lambang Megantoro for such a sick artwork again! The album was recorded in our Eisensound Studio and is mixed by award-winning producer Henrik Udd, who is emloyed at the legendary Studio Fredman in Sweden. Henrik did an awesome job and we can’t wait to unleash the first video! Releasedate is February 8th 2019, right now we are working on releaseshows, a tour, new merchandise, limited vinyls and special bundles. We let you know when the pre-order starts in our very own online shop! Its hard to describe the feeling while writing this, we worked harder than ever and we put a lot emotions into this record, its so cool how everything takes shape! We like to thank you for your undying support, especially in the quiter times of a band. Now we are back and this album is made not just for ourselves, its also for you! Thanks a lot!!! 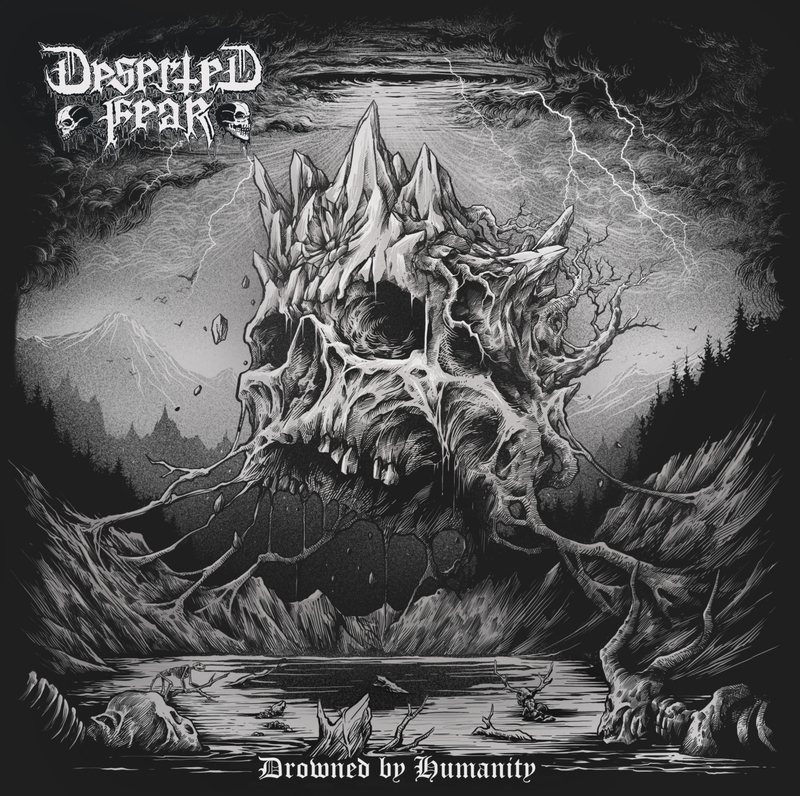 https://www.desertedfear.de/wp-content/uploads/2019/01/Deserted_Fear_Drowned_By_Humanity_Cover-höher-für-Ole.jpg 4938 4960 DesertedFear /wp-content/uploads/2018/10/DesertedFear_Logo_Header_fix-300x138.png DesertedFear2018-12-03 11:56:482019-01-26 11:59:32New Album "Drowned by Humanity"